Charlie Chan is a fictional Chinese detective, the hero of six books and dozens of movies stretched over the first half of the 20th century. His broken English often results in him dropping clever epithets and using his unique take on the language to look at the words of his suspects and uncover their crimes. He’s canny, and in his work for the Honolulu police department, unmatched. Our plot: a young Hollywood starlet, who was involved in the mysterious death of an actor named Denny Mayo three years ago, arrives in Honolulu. She’s lovestruck from an affair on the boat over and is considering running off with the new man, but first consults her personal psychic, Tarneverro. He learns of her secret: in that old case, she was the murderer. The next day she’s found dead in her pavilion. Among the suspects are her ex-husband, several business associates, and one very suspicious looking secretary. With no physical evidence, Detective Charlie Chan must decipher the mystery before the more corpses begin to pile up. Murder mysteries on screen are often too easy to deduce. The old rule– whoever is the least likely and most expendable character did the job– holds up far too often. 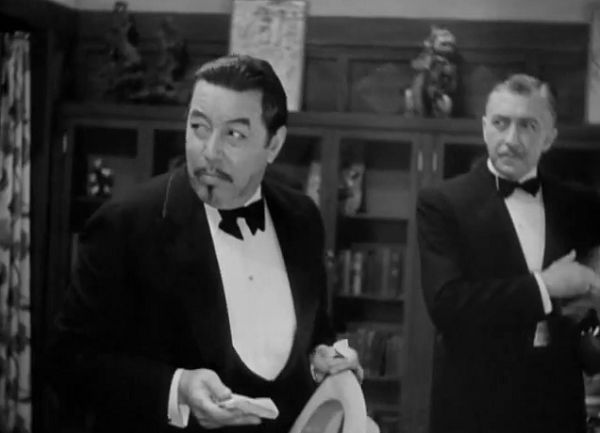 The Charlie Chan movies often manage to subvert this rule, casting the net far and wide, with the turns of the mystery not afraid to make everyone look suspicious. It’s one of the great pleasures of The Black Camel that the character everyone seems to expect to have committed the murder, Tarneverro, is the one the audience is most sure didn’t do it. 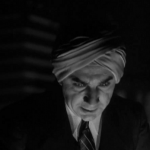 Lugosi in a turban is pretty much a surefire success for cinema magic. 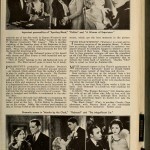 One of the biggest treats of the film is that it’s one of the rare early-30s move that not only has extensive outdoor scenes, but long stretches of the film were shot on location. Hawaii of the 1930s is a sumptuous paradise, and the scenes of Honolulu 80 years earlier are tinged with a tropical beauty and otherworldly charm. I was actually in Honolulu about three months ago, and, I assure you the difference here is staggering. Your enjoyment of The Black Camel will undoubtedly come from your feelings on Chan himself. A family man with thirteen children, his pidgin English filled with aphorisms regarding life and death. He’s cunning and often manages to pull off one neat trick that forces the killer to reveal themselves. And, of course, he’s always played by a white man in yellow face. Charlie Chan was meant as a reaction to Fu Manchu, that villainous Chinese super genius who I covered a few weeks ago in The Mask of Fu Manchu. Where Fu Manchu took Western education and intended to use it to punish the white race for imperialism, Charlie Chan uses his experience and life in America as a tool to punish criminals. He has no grand philosophy about guilt and justice, but a simple need to expose those that attempt to dodge the law. He is simple, nice, and loves to solve the puzzle. 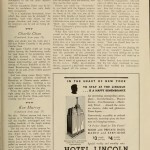 Chan’s broken English and fortune cookie sayings have led to an understandable resentment among Chinese-Americans, with some writers comparing Chan to the reviled Uncle Tom. And, in case you didn’t know, racism against Asians during the 1920s was widespread, with immigration from China outlawed since the late 19th century after white Americans panicked about their increasing numbers and able to use them as a scapegoat for dwindling job opportunities. With the rise of the Japanese as a major power in the Pacific after their rout of the Russians in the Russo-Japanese War, a great distrust of all people of Eastern Asian descent was part of the cultural zeitgeist, and from those nightmares came Fu Manchu. Also out of those nightmares came Chan’s assistant for this movie, Kashimo. A Japanese man with big rounded glasses and the inability to grasp even the most simple of directions, his existence as a racial stereotype is there to reinforce that Charlie’s not one of them. Though some of these exchanges do result in a couple of laughs (including the film’s excellent punchline), it’s ugliness is hard to ignore. 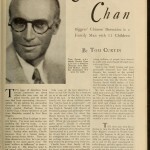 There’s still been some debate over the years as to whether or not Chan is an insulting negative stereotype of Chinese-Americans or a valuable character who helped to undercut the rampant racist caricatures of the Chinese. As a self admitted white dude, I have no horse in this race. I find Chan’s skills to be admirable, and his bendings of the language amusing and a clever way to disarm his opponents, but I can certainly see and empathize with why people would have a problem with him. If you’re interested in reading about Charlie Chan and the history of Asian-Americans in America in the early part of the 20th century, I highly recommend Yunte Huang’s Charlie Chan: The Untold Story of the Honorable Detective and His Rendezvous with American History. It’s a quick read and very well written. But back to The Black Camel: beside the location shots, the acting is also very well rounded. 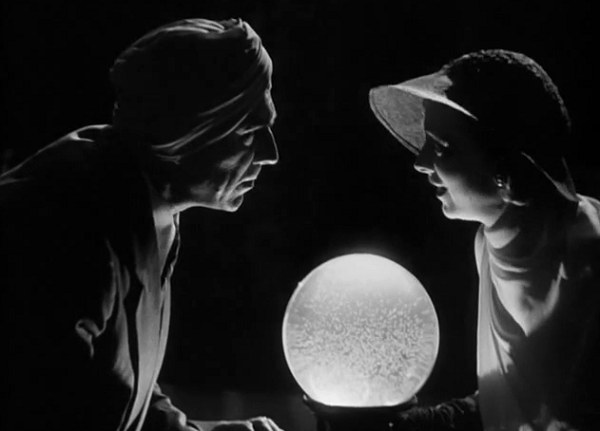 Made well before Bela Lugosi descended into self-parody, he brings a deep amount of gravitas and charm to his role as the psychic whose wits seemed to be evenly matched with Chan’s. Oland as Chan is charismatic, though I will admit I admire other actor’s interpretations more. Oland is very mannered and controlled, and you can see why this series would endure for so long. The Black Camel isn’t the best among the Chan movies, and suffers from a few contrivances and the filmmaker’s inability to connect the film’s atmosphere coherently, making the film flip between travelogue and dark mystery too often. That being said, as a mystery, The Black Camel is solid. Fans of the genre and anyone who’s ever wondered about that Charlie Chan fella will find this a good starting point, and Chan fans themselves can count this as one of the more intriguing of the bunch. 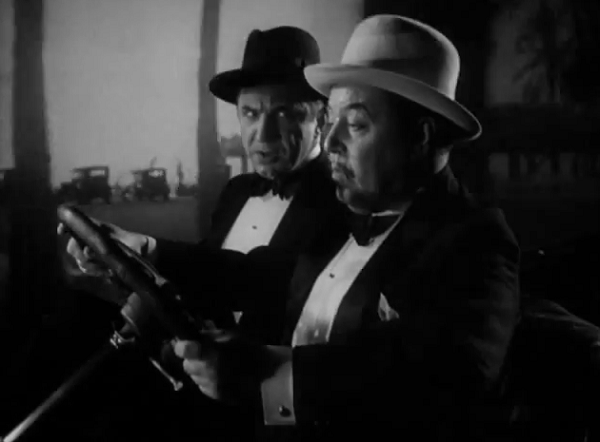 Ya’ll hit the jackpot with today’s entry: I’ve spent the last few weeks watching through many, many Charlie Chan movies. 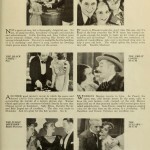 There are 47 Chan movies that were made between 1931 and 1948 between two studios, three actors playing the detective, a world war, and a range of recurring characters and actors. You can find several playlists on YouTube containing a majority of these movies (such as here). My personal favorites are mostly from the Sidney Toler at Fox era, with Charlie Chan in Panama (1940)and Charlie Chan in Dead Men Tell (1941)being my two highest recommendations. There were actually two silent movies based on Charlie Chan and four other Charlie Chan pre-Code films starring Warner Oland. However, all of these films are considered lost since Fox’s film vaults were apparently home of their oily rag and faulty wiring collections for many years with predictable results. Based on the book The Black Camel and remade as Charlie Chan in Rio (1941) with a few minor changes. Charlie’s large family is composed of Chinese actors much more up on the English slang of the day. I really want to use the phrase “Cut the applesauce!” more often. For the horror fans reading this, Oland’s Charlie Chan would also go up against Boris Karloff in Charlie Chan at the Opera (1936). The New York Times (the writer isn’t mentioned, but considering the literary namedropping, I’d assume Andre Sennwald) doesn’t seem to be a huge fan of the series, though he calls the performances good. Gary Tooze at DVD Beaver has a review of the third Charlie Chan DVD collection which lists this among its contents. Unfortunately I didn’t catch this on DVD, since it appears the set has a plethora of bonus info, including a feature length commentary for this film. Dr. Macro‘s scans for this one aren’t his most pristine, but there’s still some good material in there. As bad as it is that Chan’s in yellow face, the sheer variety of parts for non-white actors is staggering compared to the usual Hollywood production of the time. 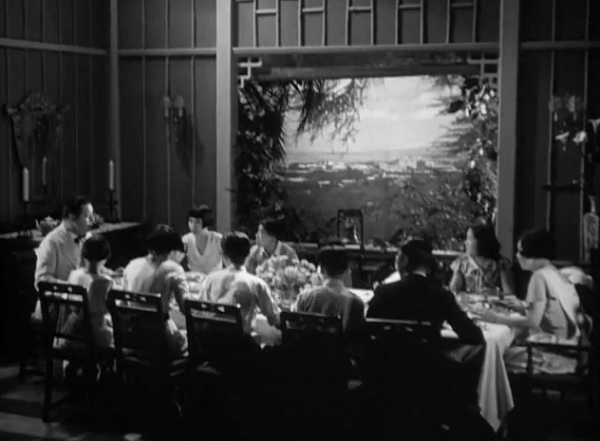 Just to prove that there are some really dedicated classic film blogs out there, Out of the Past utilized their honeymoon to look at the Hawaii then and now of Charlie Chan and The Black Camel. Part 1 covers their arrival, Part 2 goes over the beach locations on Kailua, and Part 3 looks at the Royal Hawaiian Hotel and the police museum exhibit on Chang and Chan. This is some really cool stuff. For all of your Charlie Chan needs or wants, CharlieChan.Info has weekly film watching opportunities, an extensive list of Chan-isms, and more than enough info on various films to keep you busy for quite a while. 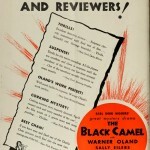 They also have a page dedicated to reviews and coverage of The Black Camel, which has behind-the-scenes photos of the on-location shooting. A word of warning, though: the site was built in 2001, and looks it. Still, lots of excellent material within. This film is available in the third Charlie Chan DVD collection on Amazon, and can be rented from Classicflix. It’s also quite easy to find on YouTube, which is how I watched it. To this day, my dad calls me Number One Son, and I call him Pop! Ha! That’s adorable. I might have to try that out with a possible future child. I must mention a further horror link in this movie, besides Bela, and that’s Dwight Frye, at his scenery-chewing best here. It’s quite interesting to contrast Bela’s calm authority with Dwight’s intensity, to put it mildly. Oh man! If I’d watched Dracula before I’d written this one up, there’s no way that would have slipped by. Thanks for pointing it out! 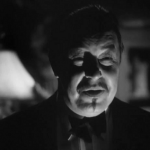 Warner Oland is perfoming in “blackface” and that does not bother you? That makes you a racist. And excusing stereotypes by thinking they are admirable qualities is racist, too. Yellow face and black face are abhorrent. I’m sorry if the passage you quoted or the fondness I have for the Charlie Chan character made it sound like I was justifying indifference on the matter. I have revised the paragraph to clarify. Danny, I came across this review a couple months ago and it has bothered me ever since. I love the old Warner Oland Chan films and I don’t consider myself racist. 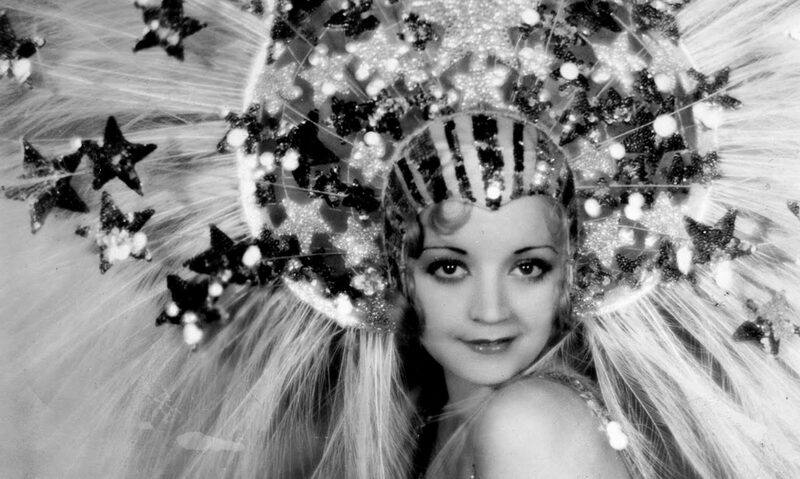 Ok, Hollywood sucked and if you take a look at some French films made in the 1930s you’ll see just how much. People of colour were frequently treated as real people. They didn’t wear rags, clean floors and address white men as “Mister”. They were just like everyone else. Maybe they weren’t in starring roles, but they were equals in the roles they had. But the American PC folks tend to forget movies are made up of people acting. Like kids playing they’re taking on another identity; putting themselves in someone else’s shoes. That’s a big part of what acting is.